The history of the Faculty of Electricity and Electromechanics dates back to 1967, when the first set of 50 students in the specialty 0303 “Electrical supply of industrial enterprises, cities and agriculture” was carried out. 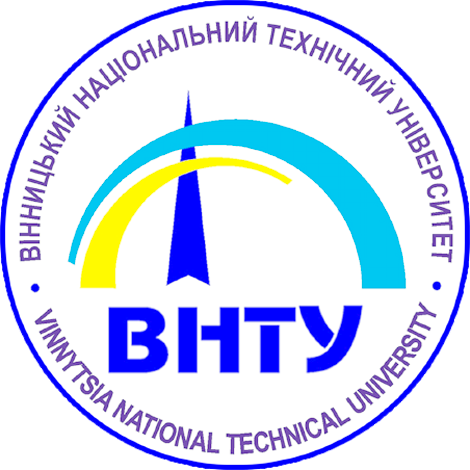 The first two groups of full-time students of the 1st and 2nd EPL-67s were at that time in the structure of the Faculty of Mechanics and Energy of the Vinnitsa Branch of the Kiev Polytechnic Institute, and in 1968 they were transferred to the newly created Faculty of Energy and Radio Electronics, which was geographically located in the first educational- laboratory building of the university. In 1969, in connection with the discovery of another energy specialty 0301 “Electric Power Stations”, an energy department was created, which is why 1969 is considered to be the year in which the independent faculty was established, which established the current Faculty of Electricity and Electromechanics. The founder of the Energy Faculty, his first dean was the candidate. tech Sciences, associate professor NALBANDIAN David Belgarovich. Under his leadership, the formation of the faculty, the development of a training laboratory and the opening of new specialties took place. At the time of the opening of the Energy Faculty, its departments included the theoretical foundations of electrical engineering, energy, physics, foreign languages ​​and physical education. Territorially the faculty was housed in a training laboratory (now the “second” building) at 95 Khmelnitsky highway. In the 1969/70 academic year, 253 full-time students studied at the Faculty of Energy. In 1970, the first specialized graduating faculty “Electrical supply of industrial enterprises, cities and agriculture” (EPPM and agriculture) was established at the faculty, which was founded and headed by the candidate. tech Sciences, associate professor AVVAKUMOV Volodymyr Grigorovich, one of the leading specialists in the field of optimization of the quality of electric energy. In the future, the efforts of the staff of the faculty were aimed at the formation of the educational process, the creation of a laboratory base, the opening of new specialties. So, already in 1971, a set of two groups of students was conducted on the specialty 0302 “Electrical systems and networks”, and in 1978 another specialty – 0315 “Electric power” was opened, the graduates of which received the qualification of the engineer-teacher of electric power disciplines. “Electric Power Stations” (EU), Head – Cand. tech Sciences, associate professor SAKHNOVSKY Nikolay Leonidovich. “Electrical Systems and Networks” (ECM), Head – Cand. tech Sciences, associate professor BILOUSV Victor Sergeevich. “Engineering Pedagogy” (IP), Head – Cand. ped Sciences, associate professor CHIZHIK Valentin Vasilievich. Since 1983, according to the order of the Ministry of Higher and Secondary Special Education of the Ukrainian SSR, admission of students to specialty 0315 was not carried out in the future. Since the mid-eighties, the goal of the faculty has been to train electrical engineers for more than 40 foreign countries in Asia, Africa, the Middle East and Latin America. Over the years of its existence, the departments of the Institute of Electric Power Engineering and Electromechanics have trained more than 500 qualified foreign specialists. In 1986, the design and construction of the educational and laboratory building of the Faculty of Energy was completed. Students who were studying at the faculty at that time were directly involved in the construction process. For four years, two student construction units of 60 people each day performed a large amount of various construction work, and at the final stage of construction, the third-year students who were transferred to the evening form of training during one school year were joined to the full. In 1990, the staff of the faculty moved to a new modern building with a total area of ​​more than 12 thousand square meters. meters on the street of the Warriors-Internationalists, 9. In May 1991, in connection with retirement, associate professor. Nalbandian, DB, at the expanded meeting of the Academic Council of the Faculty of Energy, the candidate of technical sciences, the assistant professor of the department of EPPM and agricultural sciences Sviridov Nikolay Pavlovich was elected the dean. The faculty team was tasked with carrying out a wide range of modernization and the creation of a new laboratory base with the use of modern energy equipment, a significant increase in the contingent of students through the opening of new specialties, the fundamental processing of curricula in accordance with the modern concept of training specialists. A characteristic feature of the new curriculum three-tiered system of education can get not only a bachelor’s degree, engineer or master, but also to acquire trades electrician in the first and part of the second year of study using the passage of additional special training courses in electrical workshops and in the energy range, where students acquire practical skills in the work of the fitter-electrician. Students acquire acquired knowledge while undergoing work placements in the second and third year courses provided for in the new curriculum. This way of organizing training, which is widely used in advanced foreign countries, unable to comprehensively combine theoretical knowledge and practical skills and further allowed to solve the problem of the future employment of graduates. Thanks to the efforts of the faculty in 1992 was made the first set of students to the new specialty 10.08 “Energy teplotehnolohiyi” (1995 specialty 10.08 was transferred to the structure of building faculty), and since 1993, first in Ukraine, to order the production of energy about ‘ unity “Vinnytsyaenerho” and from the personal initiative of the then CEO Paul K. Pyskliarov the energy department began training students in “Electric stations” on specialization a deep study of English and German, whose graduates were mainly planned to work abroad as technical translators. The training of this category of students was carried out on a contractual basis at the expense of the energy companies of Vinnytsia, Khmelnytsky, Ternopil, Chernivtsi and other regions of Ukraine. Taking into account the needs and trends of Vinnytsia region development, in 1993 another specialty 21.05 “Electric drive and automation of industrial plants and technological complexes” was opened, graduates of which receive the qualification of engineers of electromechanics. In connection with the significant expansion of the list of specialties, of which training was carried out, in 1995 the Faculty of Energy was renamed the Faculty of Electric Power Engineering and Electromechanics (FEMEM). 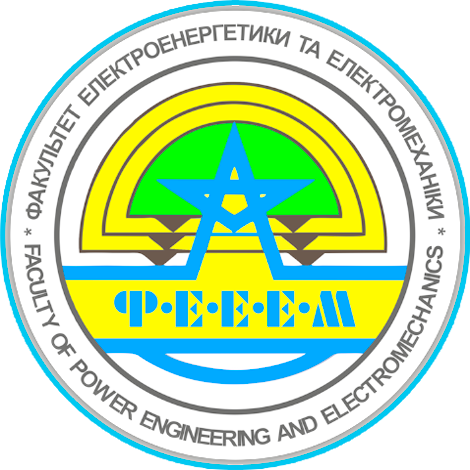 In February 2002 in order to implement the decisions of the Second Congress of Education of Ukraine regarding the establishment of university facilities and in accordance with the law “On education” based on current FEEM was created Institute of Power Engineering and Electromechanics, which included Electricity Department (Fee) and Faculty of Electromechanics, Power Consumption and Energy Management (FEMEEM). From 15th May to 5th September 2010 Director InEEEM worked Ph.D., associate professor, head of renewable energy and electric transport systems and facilities Oleksandr Mokin. During this period, the system of electronic scheduling of classes was developed and for the first time in the history of the university, and the site of InЕЕЕM was reconstructed.